This year I finally got to meet Kubrick designer Michael Heilemann. Kubrick is the theme that became the default theme for WordPress forever to be known as Default. Dork that I am I got my picture taken with him. My first WordPress celebrity fanboy moment. I’m a theme designer, it happens. While in San Francisco for An Event Apart I decided to get my picture taken with friend and colleague Matías Ventura. He and I designed the Duster theme that wound up becoming Twenty Eleven, the WordPress theme for 2011. This is us. At that moment I realized I need to have my photo taken with all the WordPress default theme designers. Like a collection. I get to travel the world for work. I love WordPress. And themes. I’m a dork. It fits. Time to make a list! Matt Mullenweg, WordPress co-founder, founder of Automattic, where I work — this one shouldn’t be too hard. 🙂 He did the “Default WordPress” that was “just a basic layout, with only the bare minimum defined” for WordPress 0.71. Dave Shea, designer of the Classic theme. This one will probably be the hardest. I don’t know Dave at all. He will likely think I’m crazy if/when I ever approach him about this. Michael Heilemann, designer of the Kubrick theme. Done. Me and Matt Thomas. Back in 2010 I got excited about the idea of a new default theme and came up with Kirby. Matt took it and made it look beautiful as Twenty Ten. This one should also be easy. 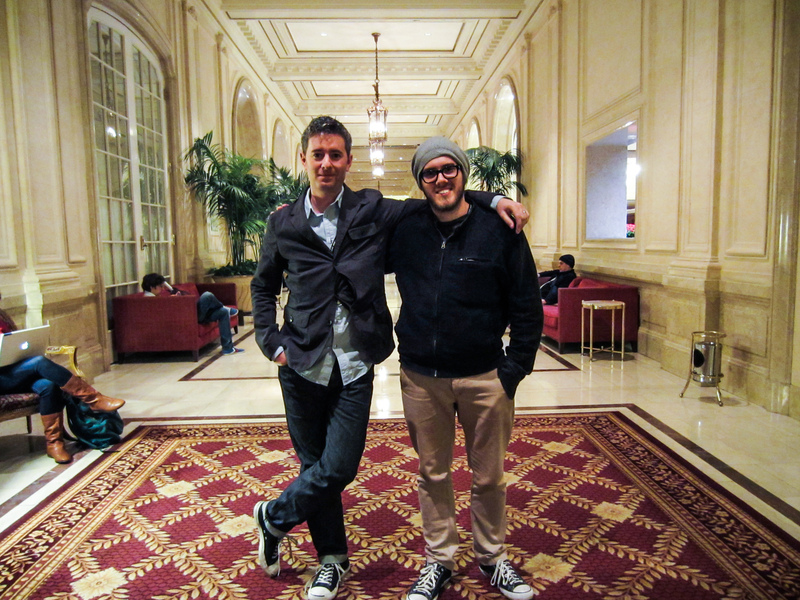 I have the pleasure of working with him at Automattic. There’s probably a picture somewhere of both of us in the frame but I want to get one with he and I posing. Matías and I. Boom. Done. Drew Strojny, designer of Twenty Twelve. This one shouldn’t be too hard either. I’m sure to run into Drew sooner or later at a WordCamp or event. The only hard part will be getting the two of us into a frame. He’s super-tall. I’ve made a tag just for this project so it’ll be easy to view all the posts as a group. I think you should convince them all to do likewise and make some kind of crazy online gallery of every WordPress default theme designer with every other WordPress default theme designer. Now *that* would be nerdy. And awesome. You and Matías designed Twenty Eleven? I’m sorry, I did not show the appropriate amount of awe when I first met you. Again, I apologize. We can make arrangements for a ceremony at our next meetup. Love it! I bet you can collect them all! I wish I was twenty thirteen. I’m deeply honored, my friend. You’re awesome.